Interestingly, I'm reading a book now about how to grow world record tomatoes. 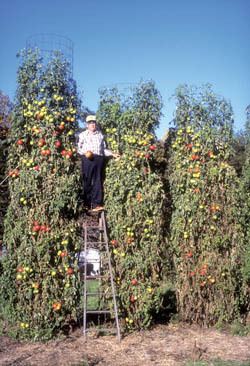 And Charles Wilbur, who holds a number of Guiness records for growing veggies, particularly tomatoes, uses kudzu in his compost mix. It can't be all bad.